Overview: The Chicago-based Nadex (North American Derivatives Exchange) is regulated by the CFTC and owned by an international financial group (IG). It is a Binary options exchange with a unique trading platform for retail forex trading (see our link on how Binary Options work). It is important to point out that Nadex is NOT a Forex broker, Nadex is an actual Exchange. Trading costs are low and transparent. Traders are comfortable trading on a US Regulated Exchange, commission free trading with defined and or capped risk, though Nadex doesn’t offer bonuses. 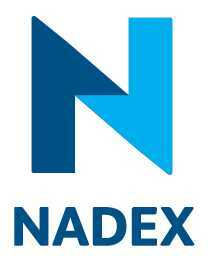 Accounts: Nadex offers separate individual accounts for US residents and international traders. Also offered are business accounts for trusts, LLCs, partnerships, and corporation accounts. Separate demo accounts with $25,000 virtual currency and unlimited use are available for beginners to practice trading with virtual funds before trading with real funds. Funds are held in segregated US bank accounts Fifth Third Bank and BMO Harris Bank. Traders pay $1 to open each contract, up to $50 to initiate trade, and $1 trade closing fee. The fees at expiration only apply when “in the money”. Expired trades “out of the money” have no trade fee. Features: The Nadex desktop Trader platform called Nadex for Desktop, its mobile version ( called NadexGO) and demo version are the only platforms offered at Nadex, both platforms are free. Nadex desktop Trader works through a web interface with an installation. Both desktop and mobile platforms are intuitive, with trading charts and Buy and Sell buttons for easy transition from analysis to trading. Both Platforms work seamlessly with one another so you can enter a trade on one device and track and manage it on another. With The Real Time Account Funding feature, On your first deposit , via ACH or check deposit you can be granted up to $500 in Real-Time Account Funding (RTAF), allowing you to trade right away while your deposit clears. Accounts in good standing can receive up to $1000 in RTAF for subsequent deposits. Education: Beginner and advanced traders can enjoy webinars, e-books, educational courses and other learning resources on the Nadex website, and keep track of market news and analysis from a team of in-house and guest experts. Deposits/Withdrawals: Traders must deposit at least $250 to open a live trading account. Deposits can be made through debit cards, bank transfers or wire transfers. Customer Service: Traders have access to support through email or phone (US toll free and international numbers) Sunday through Friday.